While frequency varies by unit, you need to replace your HVAC filter frequently to maintain safe operations. Dust and debris can lead to poor indoor air quality and unsafe operating conditions for your heating system. Homeowners are often surprised to learn that they should change their air filters at least every 3 months. And the cost of putting air filter replacement off can be measured in more than dollars and cents. It seems every year there is a new flu or cold for all of us to deal with. The long days and nights of sneezing and coughing can lead to missing work or school and feeling miserable. While everyone gets sick from time to time there may be a problem in your home. Unless you are protecting indoor air quality, you and your family may be sick more often than necessary. Over 50 million Americans battle allergies each year. Make sure you are keeping your family healthy with regular filter replacements. 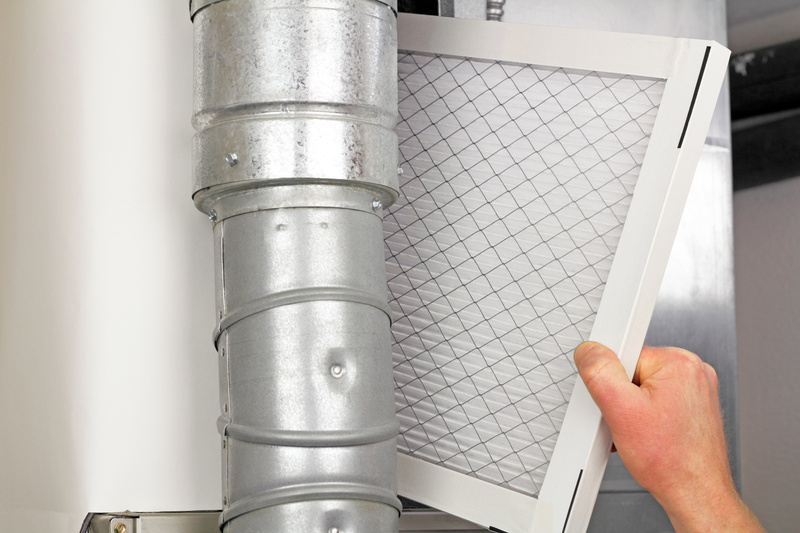 If you are replacing the filters in your HVAC units for the first time you may not know where to start. Each system is different and you can learn quite a bit from your manufacturer’s directions. If you’ve lost this paperwork, you can find it online in most cases. But you want to make sure you find and replace all of the filters regularly. There is a slot and a handle on many units to easily remove and replace the filter. On vertical units, the filter is generally located above or below the ducts. You may also have to look at each air handler in your house for an individual filter. And on horizontal systems, there is often a filter slot on the side of the unit. Beyond the benefit to your heating bill and indoor air quality, changing HVAC air filters also helps cut costs. Just like you have to change your oil and filter in your car to keep it running properly, the same is true with your home heating system. Some of the most common issues with heating can be remedied by regular maintenance. Plus, if you are maintaining your HVAC system on a regular basis you will also notice other issues as they occur. Regular filter replacement ensures optimum operation, lower energy costs, and helps identify issues before you have a system failure. Maybe you’re changing your HVAC filter less frequently than you should because you prefer to leave the work to the experts. If that’s the case, we can help. The money you spend on regular maintenance to your HVAC system will cut your repair costs. You may save thousands just by performing basic routine tasks like filter replacement with a certified technician. A certified technician knows how to do the job properly and can identify issues before they lead to costly failures. Don’t wait until your shivering in the cold to call in the heating and cooling experts. Contact R & R Heating and Air today for all your HVAC needs.